Little, Brown Books for Young Readers, 9780316413718, 112pp. Felicity Fox and her animal bestie, Flick, can't wait for the big camping trip they've been planning with all their Enchantimal friends! Felicity loves sharing adventures with her friends, and this trip is sure to be the best yet! 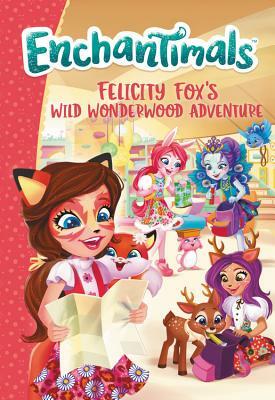 But when Bree Bunny's latest invention predicts a big storm headed straight for Wonderwood, it looks like Felicity's plans will be washed away. Can the Enchantimals find a way to save their outdoor fun and brighten their friend's day?